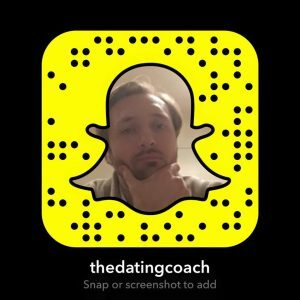 Why should I be your professional dating coach? And, more specifically, why trust me to show you how to expand your confidence and break down your social barriers? Explaining that you are a dating coach at the dinner table always ends up generating a whirlwind of questions and curiosity. What is it, exactly, that I do as a London dating coach? Do dating coaches work? And how did I even get into “all that”? Let me take you back to teenage me. I was an absolute train wreck when it came to women. Talking to them was a lost cause, and when my desires flared up the words were equally lost. I’d overthink what to say, or what someone else would say if they saw this happening, how interested she’d even be in me. If you’re reading this, I’m going to wager that these oppressive feelings aren’t all that unfamiliar to you. It didn’t take long for me to get extremely fed up with this. With the other guys who just ‘got it’. With the anxiety that accompanied even talking to women. With the cage I’d built. Too many times had I shared fleeting eye contact with a women in the shopping centre and went through the tentative feeling of ‘what if’? Too many times had I felt my body respond to a woman’s beauty at the bar, and recoil with fear at learning more about her. Too many times had I over-invested my hope and emotion into a flimsy relationship that had no longevity, simply owing to inexperience. In order for my reality to change, I had to change first. It’s a burgeoning truth. Your people and your environment really do shape you. I looked around and realised that my group of drinking buddies didn’t share my outlook, or that urgency to improve myself. I never stopped liking them, but I did have to start investing time in other areas of my life to start instigating that change. A scrum of six guys huddled at the bar behind our lagers was not getting me off to a great start. Excuses became trips to the toilet, the smoking area and bar visits – basically anything except facing up to the beautiful, beguiling, female elephant in the room: talking to them. I was wasting valuable time in prime arenas of attraction. Cue the part where I got fed up and did something about it. I gathered books, videos, sociological studies – anything to get to the root of what drives a conversation forward to affirmative action. I went out five nights a week, religiously, almost as a social exercise regimen. I splintered from the ‘lads’ and started to gain real traction in attraction. Women were responding differently. I was learning to create an impact, what works and what stimulates people. When you realise you can not only have, but excel at these interactions, you become like a kid in a candy shop. You want ALL THE WOMEN. And any man you pass advice to is a potential competitor, vying for one of your EVERY WOMAN. A hard truth is that you will never get ALL the girls. But you can widen your net, and drastically improve both the number of conversations you have and the percentage of them that lead somewhere. You can start ticking off desires you never thought you had. The problem stops being ‘talking to women’, and turns into finding time to talk to all of them. “Watch one, do one, teach one.” Charles Munger (Warren Buffet’s business partner) maintains that the key to mastery revolves around these three steps, and finding a balance between them. This was the key to my own development, and this soon brought out a passion for seeing the development process unfold in others. After about six months of constant learning and practice, I pulled a friend aside and relayed to him my learning experience up until that point. We decided to share our scenes – he was much more indie/alternative, whereas my stomping ground was the world of dance music and R & B. We would then alternate our venues, getting a great experience of both worlds and learning how to apply our seduction skills in both. This experience went on for two years, flat-out. It went so well for him, in fact, that the project only came to an end when he achieved his goal and secured himself a long-term girlfriend. And I suddenly realised, this was the bigger picture. This is the key to it all – knowing how to meet women is only the first step. This is about relationship-building, and developing yourself. If you can master both yourself and relationships, you can basically hack life to make it work for you. From this friend, I went out with several wingmen and they all ended up in healthy 5-7 year relationships. This became my ‘teach one’ – my guidance managed not only to add value to the lives of my wingmen, but also presented to them the tools to add value to their own lives. It was after these that I was finally at peace with not having ALL the women. I could really make a difference to men of all ages, and I would know that it works because it’s an approach that was build from the ground up with research and relentless practice. I found great joy in watching friends overcome their social hang-ups, get over their limiting beliefs, escape their comfort zone and land the sort of women most guys can barely muster the energy to dream about. That epiphany led to hundreds of men worldwide – some of whom would fly in, or fly me out to meetings and workshops – who, as it transpired, needed the same nurturing experience and encouragement. Teaching has been as wild an adventure as my own learning curve. I could not begin to tell you the number of women I’ve approached in my life. Five nights a week for ten years brings you into a lot of scenarios. It’s an honour to pass this along to my students. What use do you have for my professional dating coach services then? I know my methods of both teaching and dating mastery work – over and over. So if you don’t see a difference, you can have your money back. You can’t go to university for a piece of paper that qualifies you to coach dating. Your time with me, whether in coaching sessions or in the field, is always hands on, intellectually grounded and rich in experience. The testimonies all over my site speak for themselves, and if teaching myself was life-changing, think of the impact world-tested guidance will have on your life. That’s my journey. Where does yours start?